Mulitipurpose TM619 Weekly Timer is used whenever electrical equipment must be periodically switched on and off at preprogrammed daily or weekly times.The programmed evernts are then repeated during the next periods accordingly.They find broad application used in Solar, Gate, LED, Garden, Lighting and Feeder (especially DC type), also heating and refrigerating systems, boiler, overns, dryers, defrosting equipments, swimming pools, hatcheries, illumination, etc. 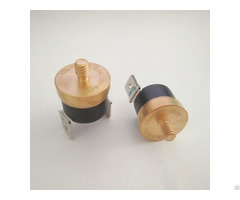 • Optional A: TM619-1 for 110 Vac and TM619-2 for 230 Vac, TM619-3 for 24 Vdc/ac and TM619-4 for 12 Vdc/ac. • Transparent flap (cover or lip) for waterproof and dustproof. • Output: 16amp, SPDT @ 250Vac, volt-free output. Business Description: Wuhan Laurel Electric Co., Ltd specialize in the supply of Digital timer for a vast array of industries since year 2006. Our main products include but not limited to Programmable digital timer, Mechanical timer etc. After 10 years growth, we have more than 100 employees in the factory including 20 sophisticated technicians. In year 2014, we established a new company "Wuhan Laurel Import and Export Co.,Ltd" to serve international customers. Now our products have been exported to many countries including North America, South America, Europe, Middle East ,South Asia, etc. We are committed to provide you with digital timer and mechanical timer , we have provided OEM, ODM services for a lot of Europe, South America, southeast Asia brands. So. please provide your design drawings,we can completely produce it according to your request, processing, use your customer brand. Or tell us your requirements, our engineers design drawings for you and the producing, use the customer brand. We have a complete research and development team, the company each year on research and development investment accounted for 20% of the whole company overhead, 8-10 research and development team, including the electronic engineers, mechanical engineers, production engineers etc., complete manufacturing facilities and laboratory equipment.